We suggest bringing: light clothing, bathing suit, towel, comfortable shoes, hat, sunblock and camera. 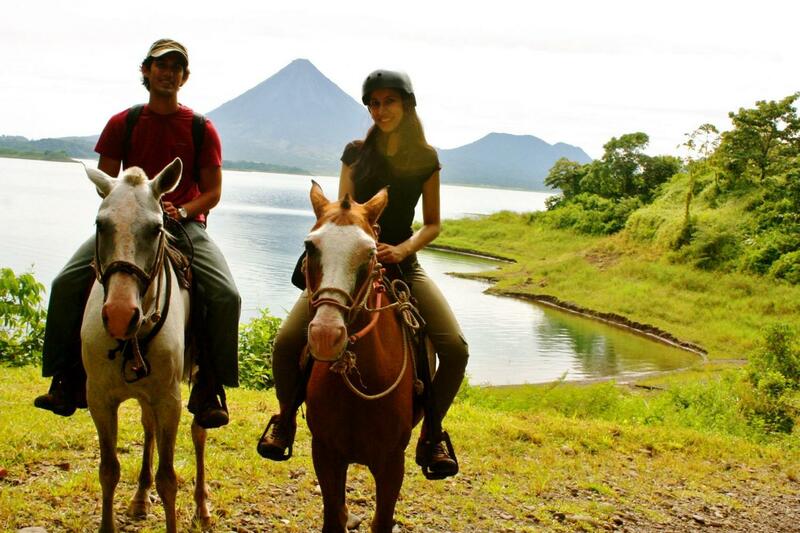 This experience stars when you get on the horse and get out of the “Corral”, place where you will live an unforgettable moment with the nature and the tropical dry forest, which is one of the most unique types of forest you”ll ever be in. You will see types of monkeys, cattle, birds and iguanas along the way, even sometimes we get to see big cats. Once we went through the forest and the will with and amazing view to the ocean, we will arrive to the old house of the Hacienda called “El Chagüite”, this is the way how the locals call the Banana Plantations, and you can enjoy an spectacular views to the Salinas Bay making this an beautiful experience in a relaxing spot, perfect to cool down after this adventure you just had, watching the sunset. Here our staff will be given you a warm welcome with fresh fruits and “refrescos naturales” (fruits drinks).